So, you want to improve your AMC8 score?… or your MathCounts performance?…. or your “For the Win” rating?….or just have fun learning new, exciting math?…..here’s what you should do: buy one of these books and work through it, making notes and building your own “trick-tionary” of math tricks, formulas and shortcuts. Add to it whenever you learn something cool, and look through it frequently. You don’t need to figure everything out by yourself….teachers want to teach you these things!! Just buy the books and work through them! Click on the book titles for more info on each book. Competition Math for Middle School by Jason Batterson. This is a really helpful book for beginners looking to get an introduction to many of the tricks and shortcuts that seasoned MathCounts competitors use on every contest. The Art of Problem Solving, Vol 1 by Sandor Lehoczky and Richard Rusczyk. “Art of Problem Solving” is THE website for math contest help, and this is arguably THE book to work through if you want to know (almost) everything there is to know about middle school and high school math contests. You should probably buy the solution manual as well (which does make this book a bit pricey). 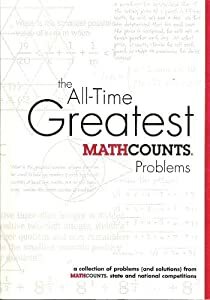 The All Time Great Problems (MathCounts) by Patrick Vennebush. This is just a great book for advanced problem solvers. 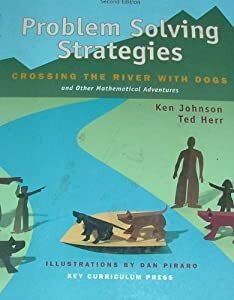 Problem Solving Strategies: Crossing the River with Dogs and other Mathematical Adventures by Ted Herr and Ken Johnson. Each chapter of this book is a different problem-solving strategy. The text is interesting and engaging, the problems are awesome. However, it is meant to be used as a textbook, so no answers are given. 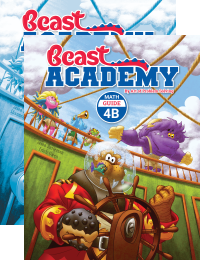 For elementary students, there’s the Beast Academy series, by Jason Batterson and Erich Owen. The “Guide” books are the “textbooks,” and they’re super-fun….filled with monsters talking through hard math problems. Then the “practice” books are filled with hundreds more problems to do (solutions in the back of every book). And there are so, so, sooooo many other great books out there. If you already have all these, feel free to contact me and I’ll recommend a bunch more. There are so many great math videos out there!! Most are on YouTube, and students should always check with their parents before watching. All of these videos here are purely math, and should be appropriate for all ages. Here’s the one-and-only Richard Rusczyk. He CREATED “The Art of Problem Solving,”….and he certainly turns math-video-making into an “ART” form! Enjoy! This is a great coach from Indiana….fyi, Indiana has had two of the last three MathCounts National Champions!! Not only does Dr. James Tanton know his “maths” quite well, he has a wonderful Australian accent!! Enjoy!! I simply ADORE Vi Hart. She makes math so much fun!!! And there are SO many more out there. Just Google “MathCounts Minis,” and watch every single one!! The Art of Problem Solving This is THE place for math contest and problem solving help. It is a forum for problem discussion. It’s a problem database (the AMC contests, the Purple Comet, the AIME, and much more). It’s just FILLED with helpful videos and links…..it’s just THE BEST!! The Denver Math Club is run by some former students of mine. Get on their mailing list, and go to their meetings!….they are awesome!! AGMath Jason Batterson’s first big project, before he moved to AoPS. This site is filled with mock contests and various resources gathered from all over the country. 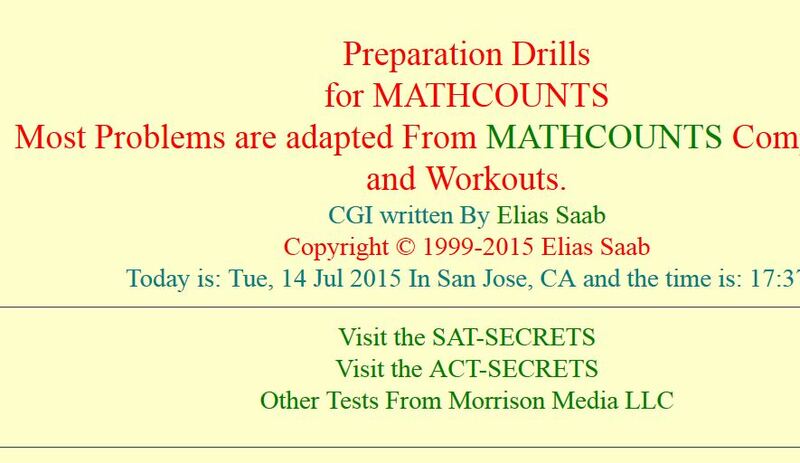 MathCounts Drills (aka “SAAB”) This is a pretty great problem-set generator. You can choose the number of questions, the types of questions, and see the solutions when you’re done. For the Win My students could play this online “Countdown Round” game 24 hours a day….sometimes it seems like they DO! !